Katherine Porter spoke to the Rotary Club of Auburn, Alabama on March 22, 2017. The program featured The Big Green Egg Fundraiser for the Exceptional Foundation. 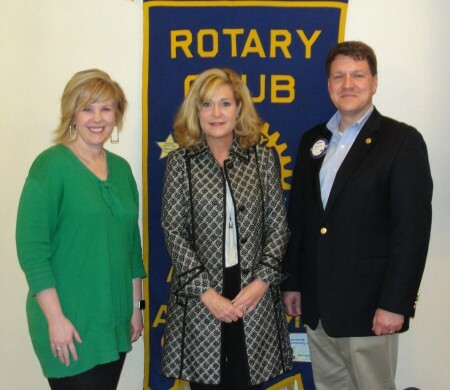 Pictured from left to right are: Auburn Rotarian Kathy Powell, Katherine Porter and Michael Tullier, club president.